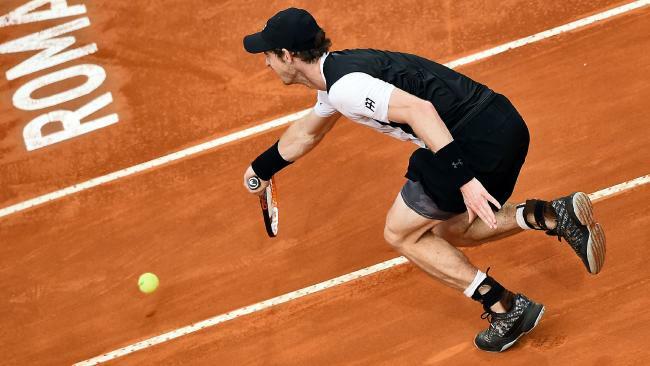 Andy Murray continued his impressive build up to the French Open with a straight-sets win over Novak Djokovic in the final of the Rome Masters. Just a week after Djokovic beat him in the final of the Madrid Open, the Scot gained his revenge over the world No.1 in another claycourt final with a superb 6-3 6-3 victory in one hour and 35 minutes. Yet the defeat, just his third of the entire season, could not be totally put down to hints of weariness from Djokovic after a tough week's work as he told Murray afterwards: "Well done Andy, you were just too good." 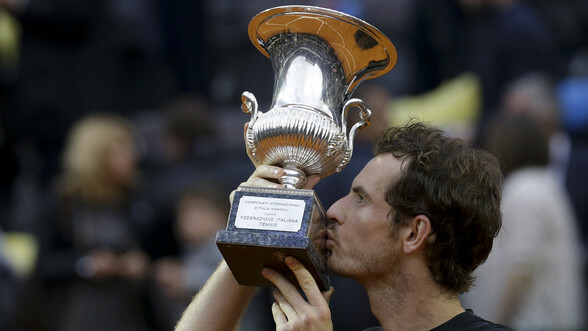 It was an emphatic triumph, after finishing runner-up in Madrid and making the semi-finals in Monte Carlo, to convince Murray that he now must have his best shot yet at winning the French Open, which begins next weekend. In the week that Murray announced an amicable split from coach Amelie Mauresmo, this was only the second time in their last 14 meetings that he had beaten Djokovic and it was his first victory in their six duels on clay. The light rain in the Italian capital really seemed to dampen Djokovic's spirit as he complained to the umpire that it was "too dangerous" to continue but his appeals were brushed aside by the official, Damian Steiner. Murray was aggressive from the start, taking command in the light drizzle, and even when Djokovic appeared to be fighting back in the second set, Murray saved break points in successive games to begin imposing himself again. At the end, Djokovic capitulated with surprising swiftness, hitting a couple of errant forehands and a double fault at 3-5 down before Murray conjured up one inspirational backhand winner from way beyond the tramlines to lift the title. No British man had won the Italian title since Patrick Hughes in 1931 and the triumph will put Murray into the world No.2 spot on Monday ahead of Roger Federer before the second of the season's slams starts in Paris.